During such a hard time in your life it’s important to have your escape and your “me time”. Something that may help you is pet therapy. It helps your emotional, social, and cognitive functioning while releasing stress. Remember that your family is going through a whole lot of pain and stress, so it is important to support them as much as possible. In my family, it was time for me to gain an indefinite amount of independence and control my emotions to help my family in every possible way. I always felt like I had to hide the emotions the “C word” caused because I thought it was more important if I were my parents’ support system. Only in the past few weeks I realized I had the right to feel the way I do. I started doing things for myself. Sometimes I just randomly go to the dog park (without my dog, because he’s so big I can’t handle him) and watch the dogs play because it makes me happy. Sometimes I just sit next to my big, furry four-legged friend and my worries go away. Sometimes (more like all the time) I look at pictures of my dog because he’s so cute and no matter how sad or mad or angry or frustrated I am with the world, he’ll always bring a smile to my face. Pet therapy not only helps us kids with a parent with cancer, but it helps our sick parent too. My dog, Duke and my dad were best friends. My dad called Duke his son and made jokes referring to how he liked my dog better than his two daughters. I strongly believe during the two years my father was sick, one of the things that kept him motivated to fight the cancer was Duke. Duke had a positive effect on my dad that no one will forget. Dogs sense when something is wrong. Usually when my dad walked in through the front door, Duke would greet him by jumping on him and licking his face. During the last three months of my dad’s life, Duke knew my dad couldn’t handle his jumps anymore. When my dad was in Hospice Care, Duke would calmly sit next to him and not bother a single soul. (Duke is about 115 pounds and one of the most jumpy, friendly, rambunctious dogs ever. For him to just sit is rare.) I wish I could thank Duke for everything he’s done for my dad. 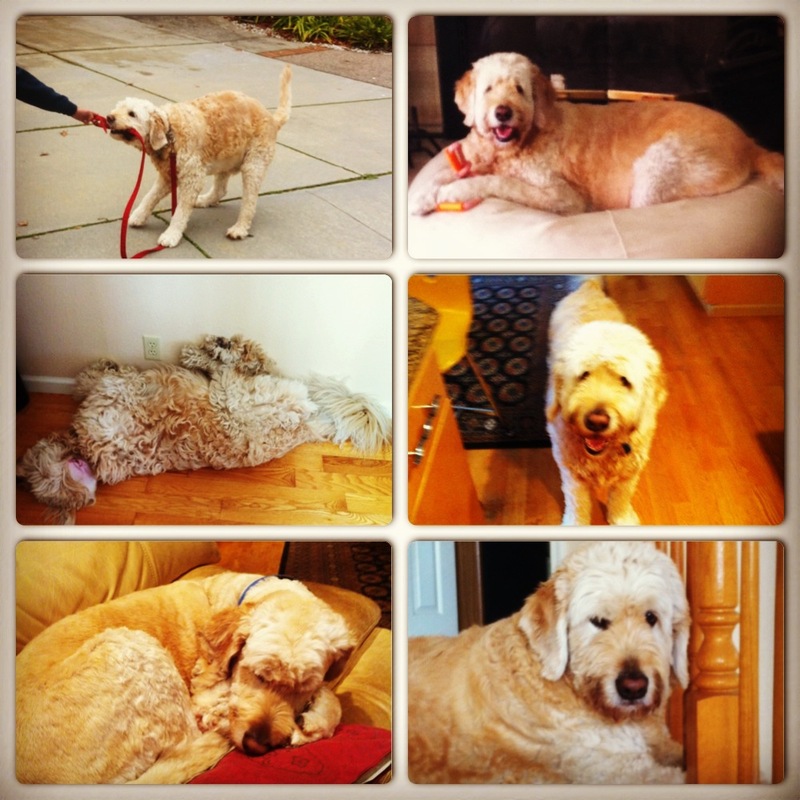 Here are a few pictures of our family dog, Duke. He gave us all comfort and sunshine on rainy days.